A funny and quirky story about a man and the experiences that change his life while on a business trip in the Middle East. There, he ultimately finds peace and harmony where he least expects it! 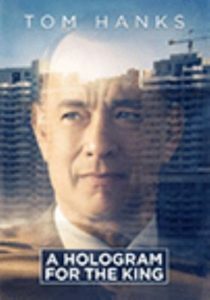 A Hologram for the King stars Tom Hanks and is based on a Dave Eggers novel of the same name. A wonderful story of a young girl living in Germany during World War II. 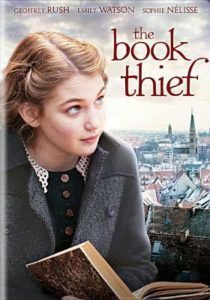 The Book Thief is a story of how her adoptive family teaches her to read and also teaches her the meaning of what is truly important in life. Also check out the Markus Zusak novel of the same name, which provided the basis for the movie. And if you enjoy movies set during WWII, we’ve got you covered: find foreign films, the home front, spy movies, and more. Based on a true story, Captain Phillips is a great movie. It’s very well directed (by Paul Greengrass) and kept me on the edge of my seat until the end! For the story behind the film, check out the memoir by Richard Phillips: A Captain’s Duty: Somali pirates, Navy SEALs, and dangerous days at sea.